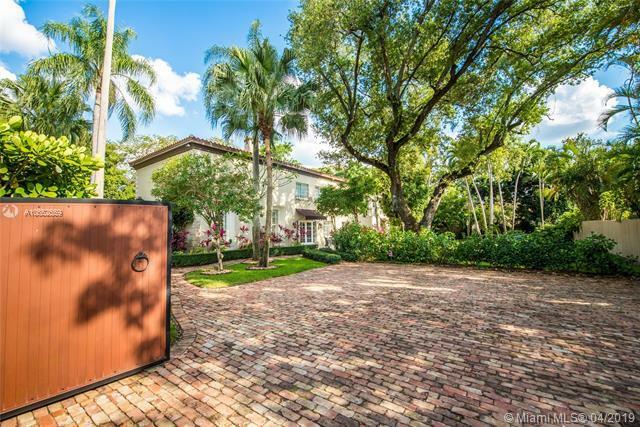 Stunning, walled & gated Mediterranean-style estate surrounded by ultra-private, park-like grounds with Chicago brick terraces & walkways. 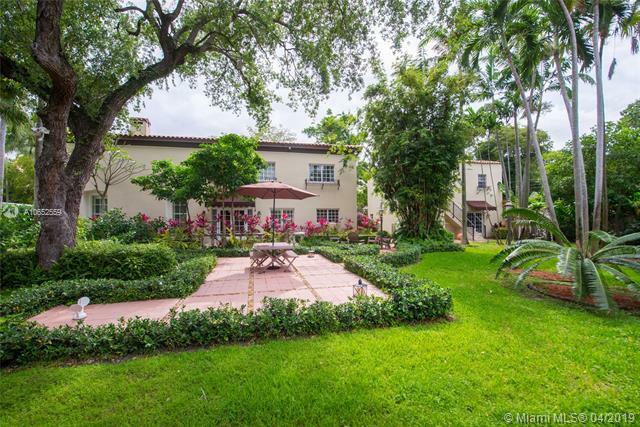 Located just blocks to downtown Coral Gables world-class shopping & dining. 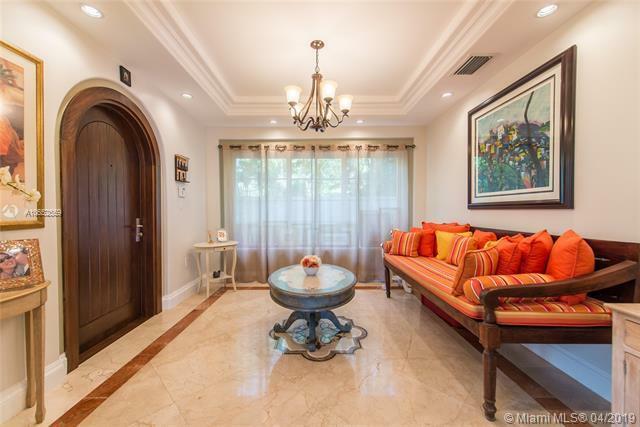 Totally restored & meticulously renovated with the finest finishes & fixtures. Elegant foyer opens to light-filled, expansive formal living area w/ 20+ coffered ceilings, fireplace & inlaid marble flooring. French doors throughout, open to lush tropical gardens. Over-sized custom kitchen w/ built-in breakfast nook for informal dining. Luxurious master suite features sitting area and marble bath w/soaking tub & walk-in rain shower. Guest house: 1st level (1/1 + living area + wet bar), 2nd level (2/1+living/dining rm.+kitchen). Double Lot. 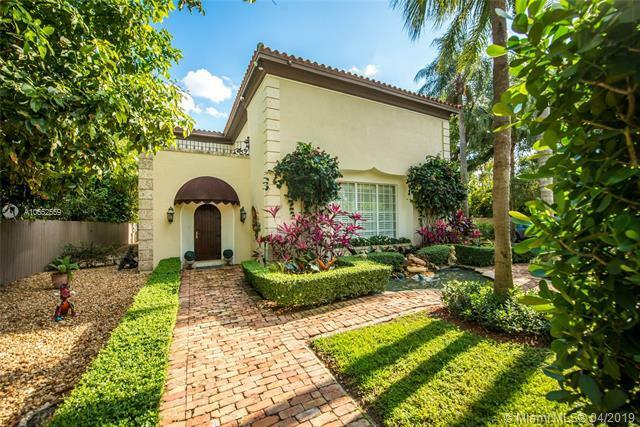 Minutes to MIA, Downtown & the Beaches.